March 02nd 2005 - What is Acu-Aromatherapy? The choice of essential oils is also firmly rooted in the Chinese herbal tradition. The herbs used for essential oils are often used in Chinese herbal formulas. Generally speaking the oils are not used alone, but in formulas constructed to do such things as to tonify Spleen Qi or to subdue Liver Yang Rising. The oils are selected according to criteria that reflect Chinese herbal tradition and formulas are structured similarly with a Chief essential oil, Assistants, Deputy's and Envoys. Many common oils are adulterated. Most worldwide production of essential oils is sold as flavor and fragrance materials. 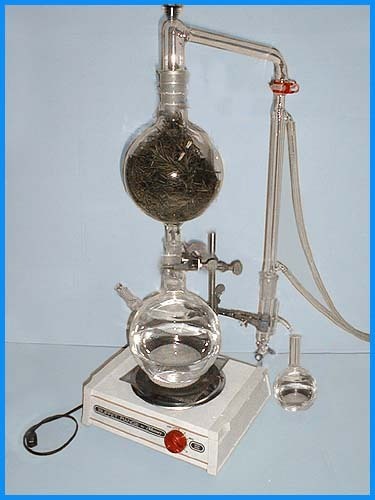 The essential oil industry has a long tradition of altering essential oils in the form of "standardization" and/or "extending" them. For instance, the world production of Lavender angustifolia oil is only 10% of the production of essential lavender oils. So-called essential oil of lavender is often made up of the more camphorated lavendin, or is adulturated with synthetic oils that only capture portions of the lavender spectrum. Many oils are listed as "natural identical" oils but do not contain the full balance of constituents. A whole oil contains many chemical components, some of which are present in very small quantities that cannot be identified and are known as trace elements. It is thought that these act as buffers preventing possible side effects. In botanical medicine there is not an "active ingredient" but rather there is a spectrum of compounds that balance and buffer each other towards a therapeutic end.